To better understand the question: “How much does a stock photo cost?”, it will depend on what agency you choose, and whether or not you go with a member subscription or a credit purchase plan. There are stock agencies on the higher-end of the price spectrum while others like us are more conducive to small-business owners with a tight budget. For instance, we currently have a limited-time membership plan that gives you 200 High-resolution XXL Images for print for $99 (only $0.49 per image! ), which is a great deal for new stock buyers. Read more about how the 99club can save you money on royalty free photos here. 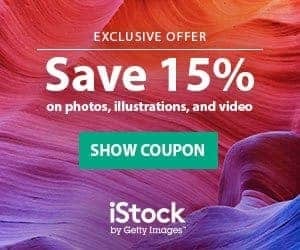 How Much Does a Stock Photo Cost? Stock agencies have a wide variety of subscription plans that will suit the budget for anyone with photo needs, whether it’s for personal use or a large company. One rule that remains true to this day is the larger your subscription, the cheaper a stock photo will be. 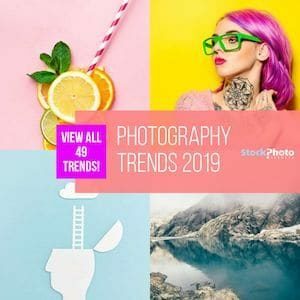 A popular option for designers and large companies are monthly or yearly subscription plans that lower the price of stock photos even more. For personal use, the credit purchasing system is the most economical and requires little investment to start purchasing stock photos, but when you have a small business or a freelancer with lots of projects going on. Make Sure to Read the Agreement! Each credit system or subscription plan has its own agreement, and its very important to understand what the terms of the agreement are in order to find the best deals, and to get the best low-cost stock photos. Some subscriptions provide a large amount of stock photo downloads per day, per month, and some credit subscriptions are active for a year. While there are many different options available, you must read the fine print in order to know exactly what you can and cannot do with the content. Read more details about our licensing here. 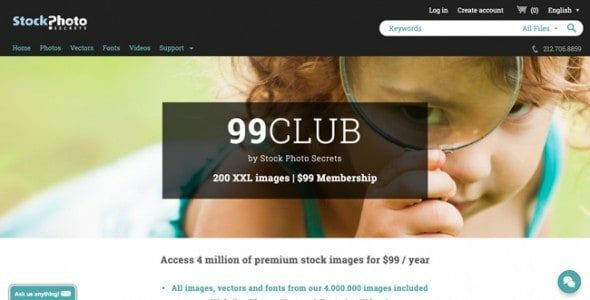 Memberships start as low as $0.49 if you buy the 99club, or even lower if you purchase our $999 plan, which gives you 12.000 image downloads per year. 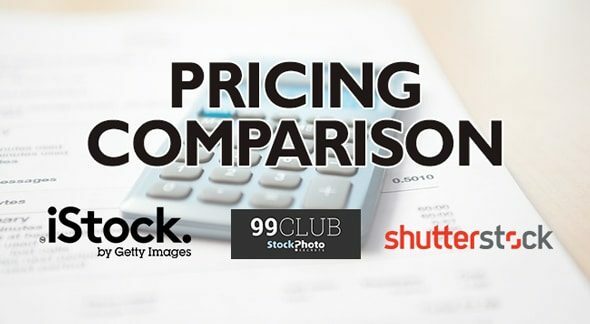 We have compiled a stock photo pricing guide below to help you better see how the price of three different stock photo agencies is different. Here we take a look at Stock Photo Secrets, Shutterstock, and iStock. Mid Size, means you need images Social Media usage: Low Volume 600 image downloads per year for only $199 or €179. Our yearly subscription: 12,000 downloads for $999. Team: 750 images per month for 2 users is $299 a month; 3 users for $399 a month; and 4 or more users for $499 a monthRead our in-depth explanation of Shutterstock pricing here. While price is most likely the most influential factor for you when it comes to making a decision to purchase a credit or subscription plan, you must also consider these factors before choosing what to buy. We consider these essential things to take a look at before you head down the stock photography rabbit hole. Make sure you that you check out the image collections to make sure they have the right kind of photos for you. Size also matters. For example, Stock Photo Secrets has over 4,000,000 royalty free photos, vectors, and premium fonts, and adds 80,000 new images per month. Make sure the image collection will be enough for you. Payment is a concern as well, especially if you are an international photo buyer. PayPal has become a very common online payment system for freelance designers, web developers, and bloggers, and som agencies offer it to their customers for payment. Using PayPal is great because it allows international customers to easily purchase membership and credit plans quickly. Of the two stock agencies listed above in the price comparison, Stock Photo Secrets and iStock accept PayPal. Agencies have all sort of multimedia content available, so it’s important to have credits or subscriptions that will give you exactly the size and formats you need. The 99club offers 200 XXL (you can confidently print at A3 size at 300dpi, or 6’ x 6‘ at 72dpi) images, vectors, and premium fonts. Other agencies like Shutterstock and iStock also have quite a diverse selection of royalty free content available for their customers. Many agencies have specific rules on how you can use photos from their collection. Most require you to place a watermarked copyright with the content creator’s name when using it somewhere like Facebook. The two things you need to look for in the license agreement is how you can use them on social media, which means check the license agreement, and check out if there are any limits on how long you can keep the post up. Royalty free content from Stock Photo Secrets requires no special watermarks or copyright restrictions, and can be used as many times as you want, for as long as you want (forever). They can be used on Facebook, or any other social network. Check your budget before you order image or membership subscription plans. Additional credits can be purchased if you need more photos at most agencies, and you’ll find that some are cheaper than others. For a cheap personal subscription package with an online stock agency, our 99Club is recommended as a good place to get started in stock plans. We hope our price comparison chart was helpful in you choosing the right stock photo plan for you.